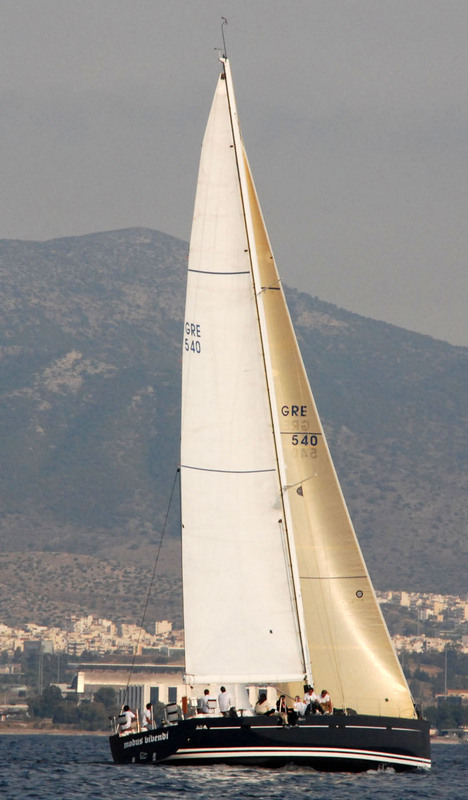 Sailing yacht MODUS VIVENDI is a highly customized Hanse 540E charter yacht measuring 16.1 Meters (52.8 Feet) in length. 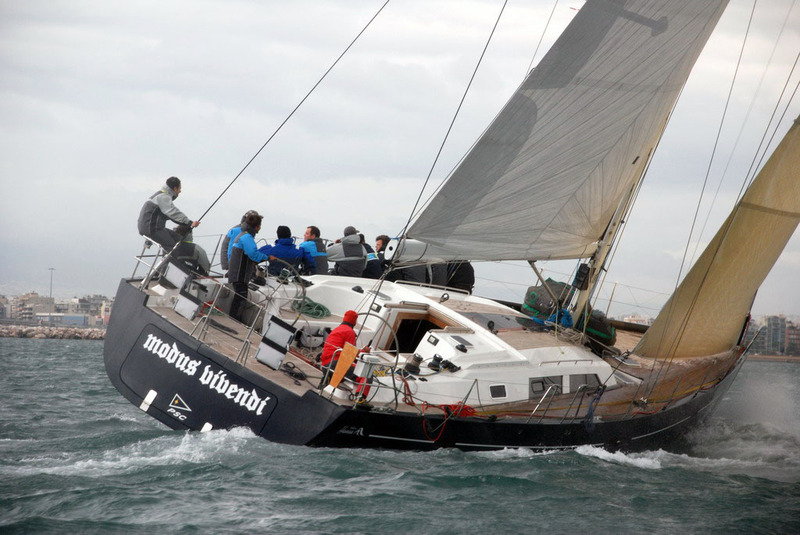 S/Y MODUS VIVENDI comes with a skipper and is the perfect yacht for anyone who wants to sail fast, in comfort and style. 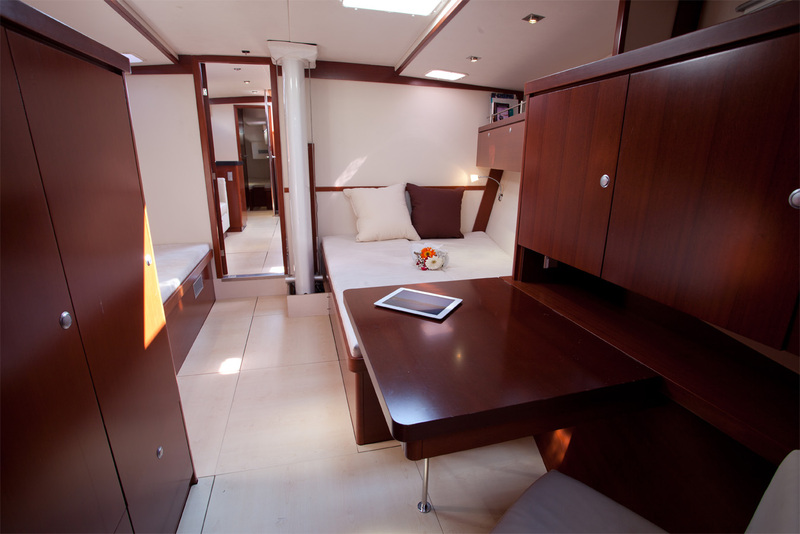 She is able to accommodate up to 7 guests in 3 cabins. 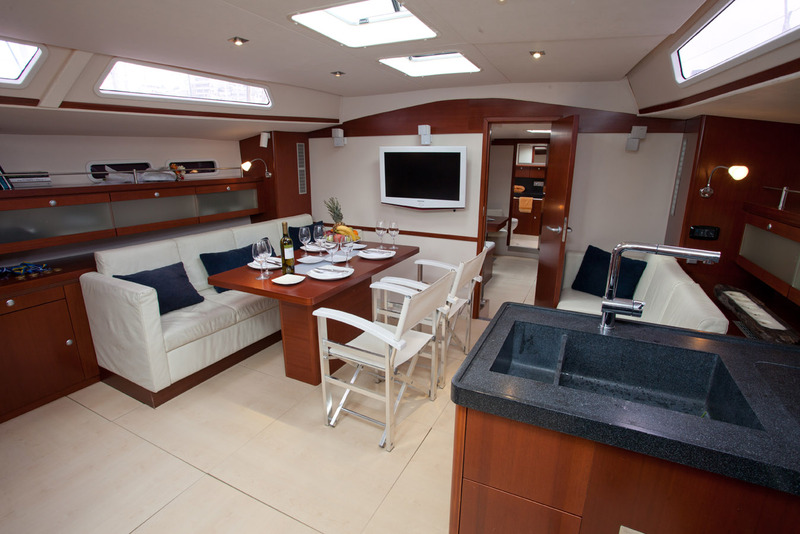 Yacht MODUS VIVENDI has an open plan salon dining and galley area that is nice and bright thanks to rectangular port holes to port and starboard as well as skylights above. 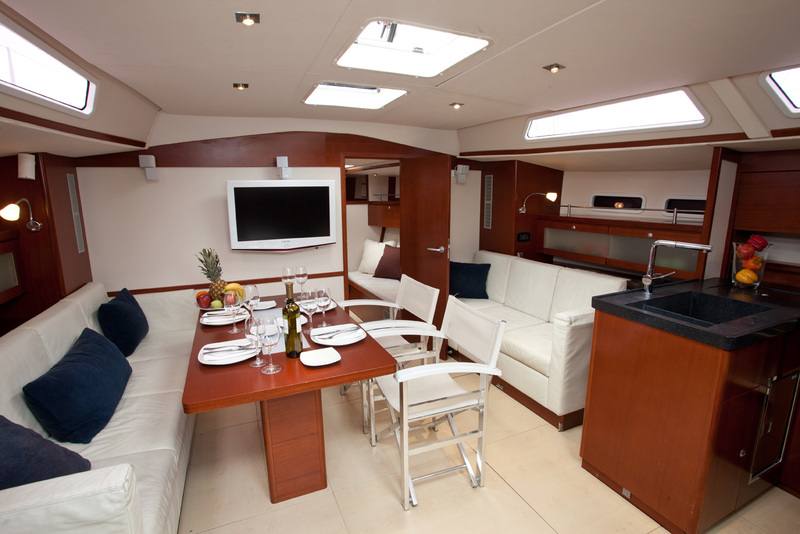 Some of the amenities include flat TV set, DVD player, stereo system, 5.1 surround sound, satellite TV, telephone, on board PC with internet coverage and many more. 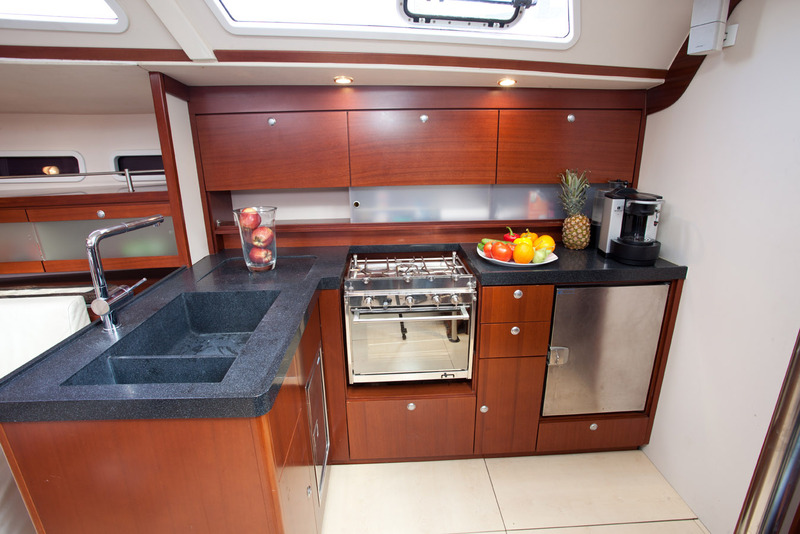 MODUS VIVENDI’s dark Corean galley is fully equipped. 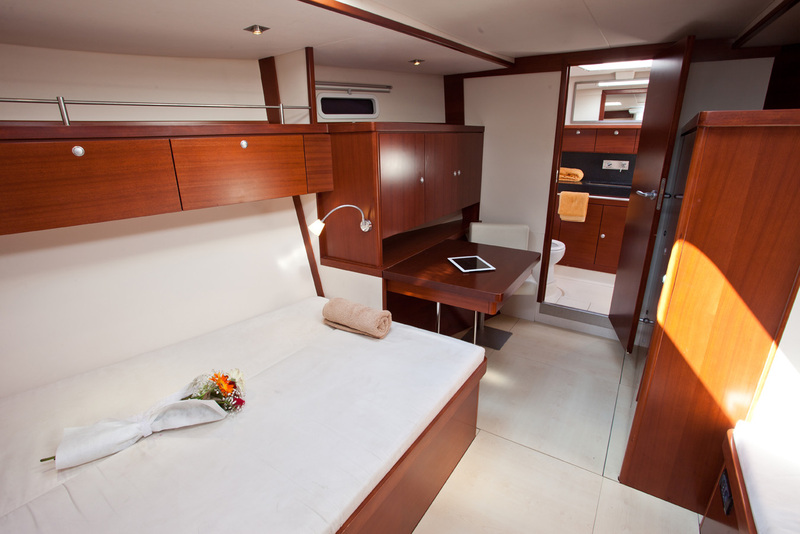 Her spacious modern interior is able to sleep up to 7 guests in 1 master (1 double & 1 single bed) and 2 twin cabins, all with en suite facilities. 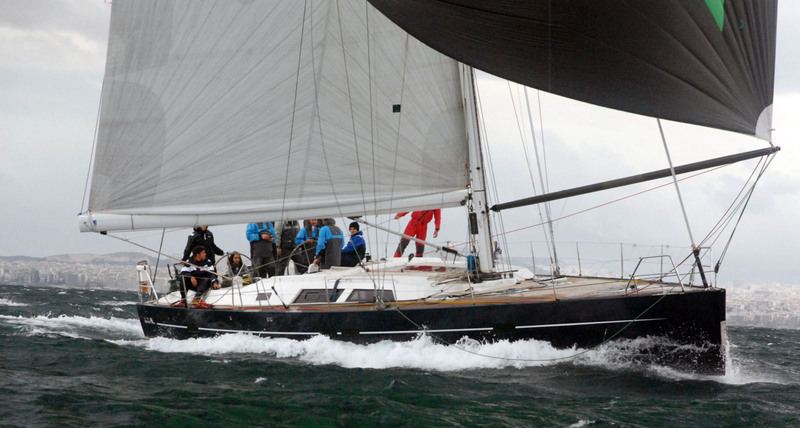 Among other upgrades, the Hanse 540E sailing yacht MODUS VIVENDI is rigged with a powerful yet easily controlled 28m carbon mast providing exciting performance and great speeds. 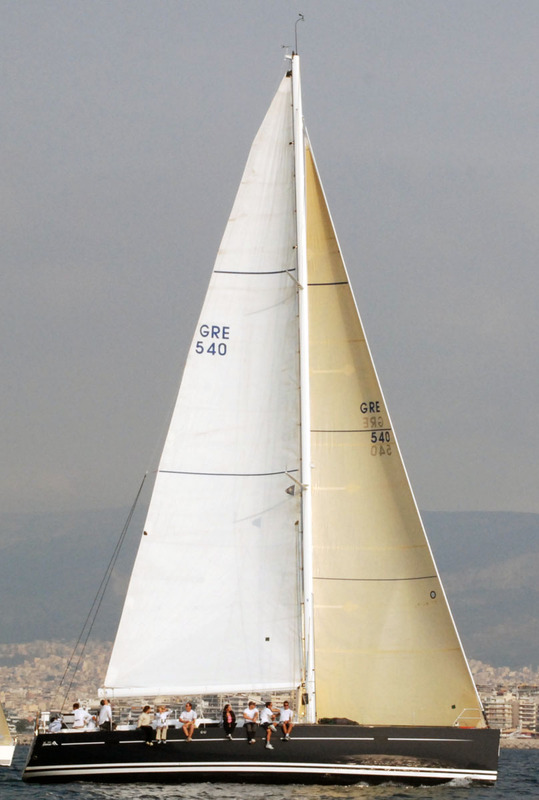 The push button trimmed sails, the one-line reefing main and the self-tacking jib makes sailing an effortless experience. 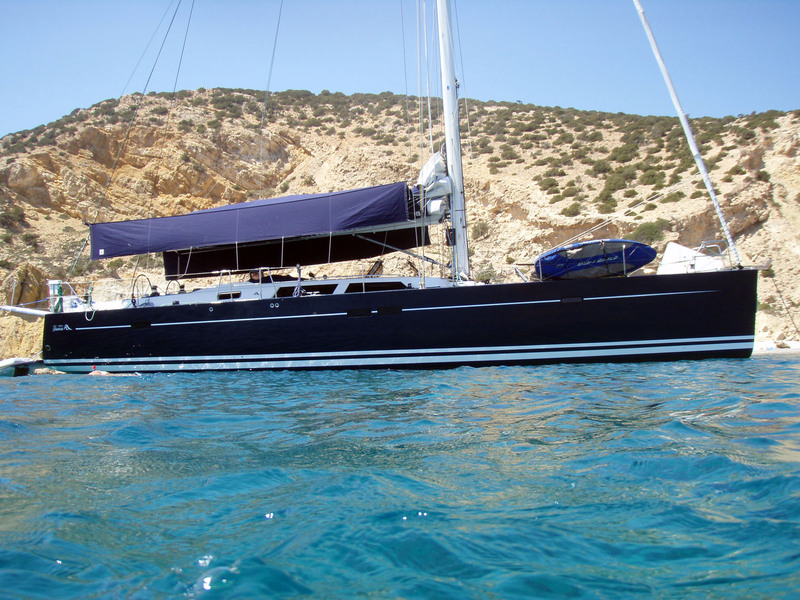 When at anchor, the MODUS VIVENDI sailing yachts full transom hydraulic garage door opens and extends a teak-faced swim platform making getting in and out of the water after diving or water sprt activities effortless. 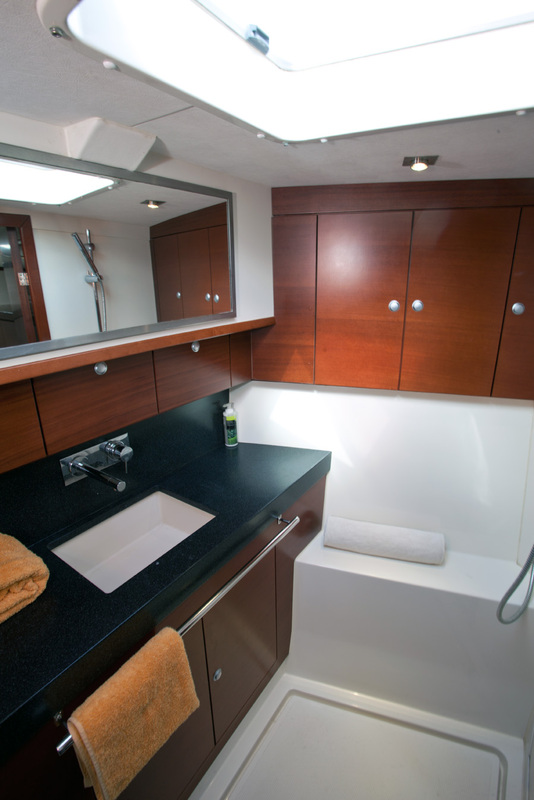 The garage has ample space for the tender and other water toys. 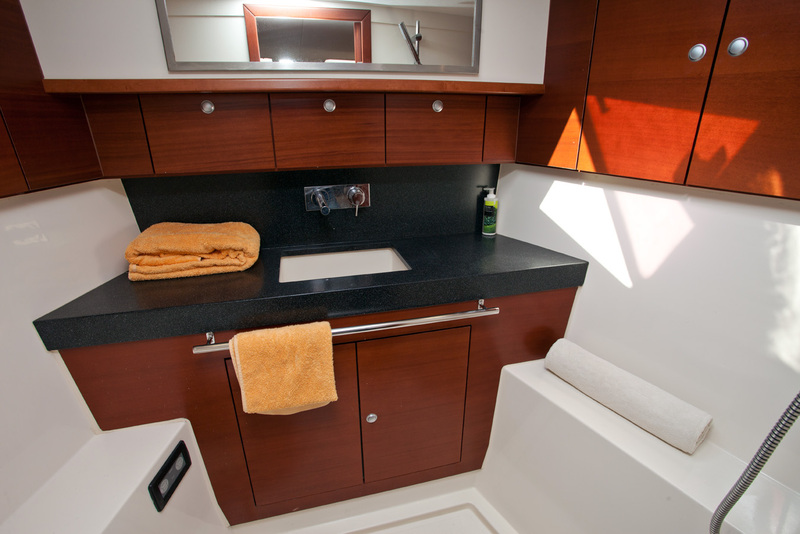 Two custom tents cover the yacht from stern to bow creating shade for al fresco dining or relaxing. 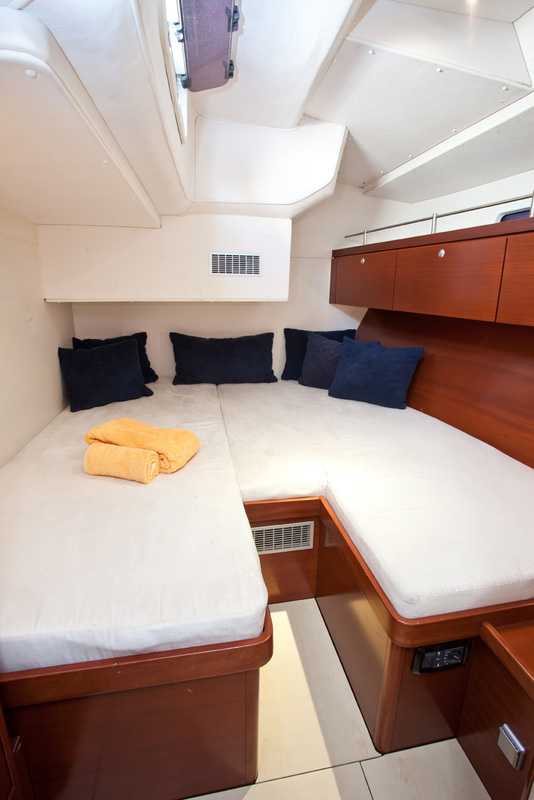 The Hanse sailing yacht MODUS VIVENDI is able to accommodate up to 7 guests in 3 spacious modern cabins including a master cabin with a double & a single bed, and 2 twin cabins, all with en suite facilities. 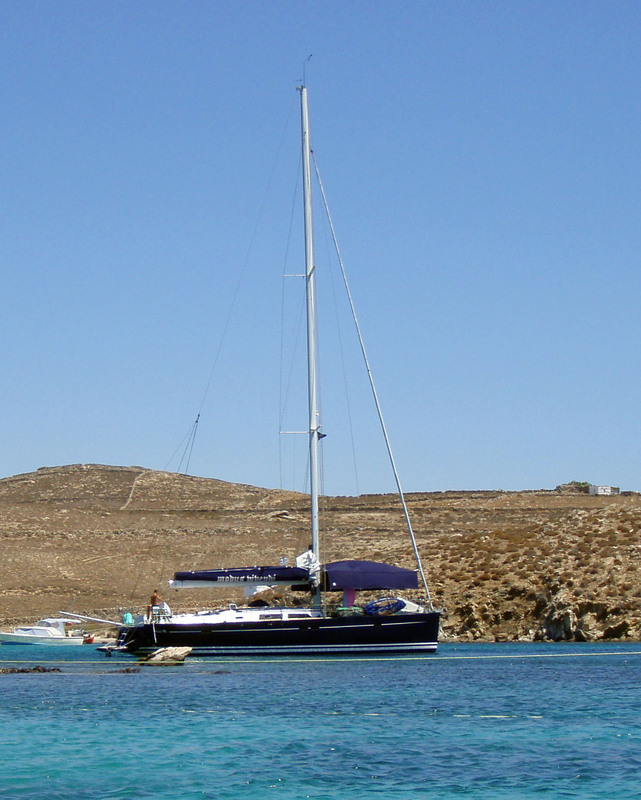 MODUS VIVENDI has the following Tenders and toys: A Zodiac 3.10m with outboard Evinrude 15HP, Snorkeling equipment.